In the Council’s Work Meeting on Tues. Jan. 21, 2014, the Council heard a presentation from Utah Valley University’s Public Service Academy, which presented research providing Provo City’s Fire Department with bench-marking data. The Council as part of its oversight role for the city has seen a need for professional bench-marking data for city departments on a regular and consistent basis, in the most cost efficient way. Utah Valley University’s Public Service Academy approached the Council about providing the city with a trial run of such bench-marking data. This will give their students an opportunity to exercise valuable skills, and to generate value for the city. Tuesday’s meeting was a culmination of this trial run, which if the City and Council finds satisfactory, could be result in future studies performed for the city by UVU Public Service Academy. The presentation commended the Provo Fire Department on its ability to meet safety demands of a growing community, and its ability to do more with less. The presentation also assessed how the Provo Fire Department could obtain greater inefficiencies which would allow the redirection of resources to mission-critical needs. The report reviewed such topics as Privatization, Airport Coverage, Volunteerism, Scheduling, Performance, and Budgeting. The Council accepted the report, and determined it will give Provo’s Fire Chief a chance to respond at a future work meeting to its merits, and to determine whether the Council could make use of future reports from Utah Valley University’s Public Service Academy. To watch the presentation, you can visit the Council’s blog here; you can also see a copy of their report here. This report provides an opportunity for residents to see how their public services compare with those of other cities of similar make-up and size. 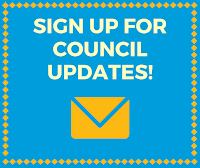 Please share your thoughts and feedback with the Council about this issue by commenting on this article, or reaching out directly to your Council Member here.